When it comes to Thanksgiving dinner and other family meals, I always like to add a little something extra. 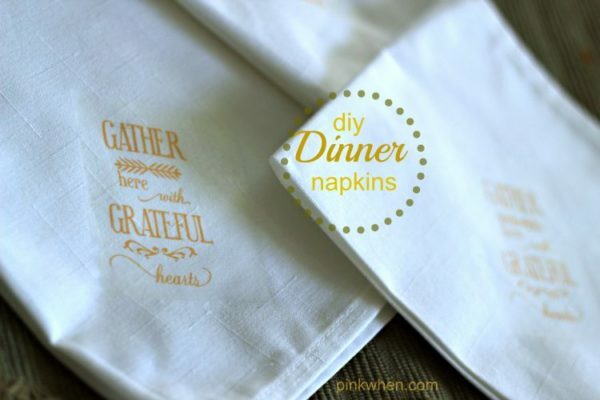 This year I am sharing with you how to make fall dinner linen napkins. I love taking something simple and plain and adding a little extra to make them stand out. The first thing I did was find a design I liked in the Silhouette Studio store. After finding that perfect design, I made sure to size them as needed for my napkins. As you can tell from the picture above, I also did my registration marks so that I could print this onto my printable heat transfer with my home printer, and then transfer over to my cutting mat and place into the Silhouette Cameo. When printing onto the heat transfer, make sure you place your paper in your home printer correctly. After you have printed out your design, place the sheet on your cutting mat and adjust the setting to reflect that you are cutting printable heat transfer material. Then cut. Once your designs are cut out, peel off the backing and place where you would like to have them on your napkins. 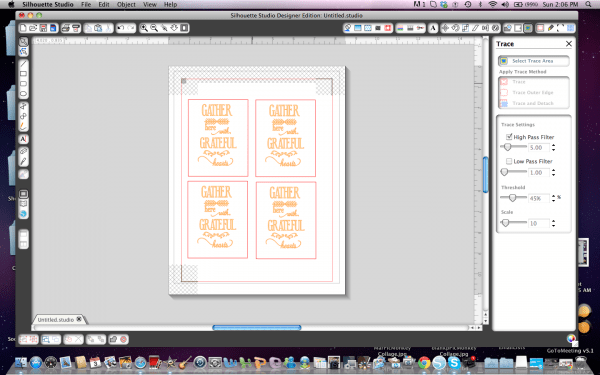 Cover the design with a thin cloth and then place your hot iron over the covered design until the transfer is complete. Usually about 90 seconds. When you are done, you should have a nice little stack of beautiful linen napkins to use at your next feast. That’s it! I did these few napkins in a little under 20 minutes. Once you find your design, all you need to do is print, cut, transfer, and DONE! 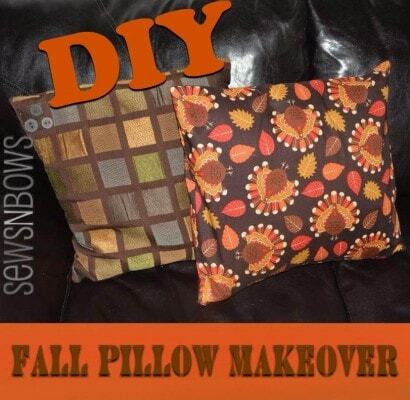 You also don’t have to have a cutting machine to make these. They can just as easily be cut out by hand. 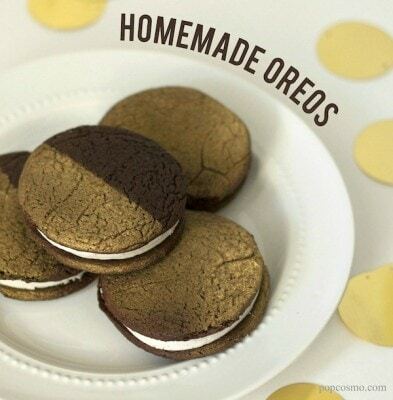 Homemade Oreos from Kim and Chloe at PopCosmo. 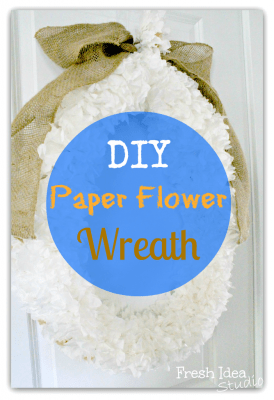 And….from Therese at Fresh Idea Studio, a gorgeous paper flower wreath. I hope you enjoyed this tutorial on how to make fall dinner linen napkins, and hope you give some of these quick projects a try! Wow, those napkins are gorgeous — and it only took you 20 minutes? Unbelievable! Jennifer, you napkins are sooo nice! I love how you took a basic linen and customized it. Super creative and the saying is perfect! Cheers to you and yours! Have a wonderful week. Those napkins are amazing! I love them. I’m researching getting a Silhouette just because of the wonderful things I’ve found here on your site. Thanks so much for sharing! Those are so gorgeous! I love them! I can’t believe you made them that quickly. I love your tutorials! Ok, this is one of my favorites of your posts ever. 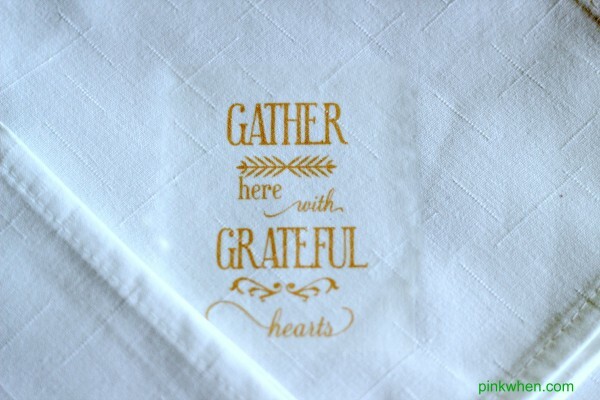 I love this way of making Thanksgiving dinner (or any dinner) even more special with printed linens. I would go so crazy with this! Thanks Tamara! I love how quick and easy they are…it will make dinner time so much fun! This is the second post of yours that proves I need a silhouette machine ASAP! I love the detail of these napkins. My grandmother would ADORE these around her table. Awe!! Thanks so much 🙂 I love using my Silhouette for projects. It makes life easier! I love the napkins. What a wonderful message you chose to display on them. I love the napkins. What a wonderful message you chose to display on them. Very cool! Such a fun and easy way to add that special little touch! You have done it again Jen! Thanks Kimber, I am looking forward to using these this holiday season. What a wonderful idea! So beautiful yet so simple too. Love it! Hi Jennifer, you wouldn’t have an etsy store would you? 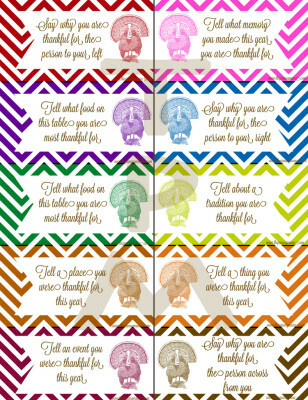 I would love to purchase these napkins for my FIRST thanksgiving at my house!!! They are perfect!!! Awe, you are so sweet! I actually do not have an ETSY store. I have been asked on several occasions. Maybe I should start one? I had one a LONG time ago but never really did much with it. Love these and can’t wait to try! Does the lettering hold up to washing/drying? Thank you!